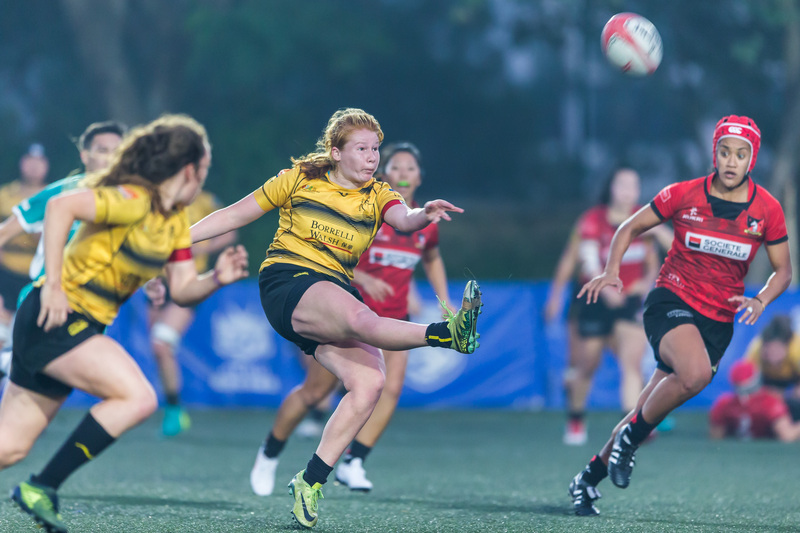 Borrelli Walsh USRC Tigers will face the women’s rugby juggernaut that is Societe Generale Valley in tomorrow’s KPMG Premiership Top 4 Game of the Week at Happy Valley. Second-placed Gai Wu Falcons will tackle Kerry Hotel Kowloon in tomorrow’s other Top 4 match, while SCAA First Pacific Causeway Bay host Transact24 Taipo Dragons at So Kon Po, and Natixis HKFC Ice take on Plastic Free Seas City Sparkle at Football Club in the minor Premiership; all games start at 1800. After a 20-7 loss to Gai Wu mid-week, Tigers will have to back it up again on Saturday, this time against undefeated Valley, who look to have pushed their lead at the top of the table beyond the reach of the Kowloon club, particularly after the Gai Wu loss ended up hurting more than the Tigers table hopes. Tigers lost two key cogs in that game with squad lynchpin Natasha Olson-Thorne and up-and-comer Lara Schats both suffering injuries that will sideline them for the remainder of the season. The most recent defeat, combined with the injuries, have resigned the club to focusing their expectations on making a positive run in the Grand Championships admitted coach Fan Shun-kei. Of course, a win this weekend over an imposing Valley could change Fan’s focus marginally, particularly with Gai Wu up again in the Tigers first at-bat after the Lunar New Year. “Mathematically for us it’s still quite hard, but I think the biggest problem at the moment is that our numbers are a bit tight in terms of impact players. I hope that the other players will step up into the gap and we won’t pick up any more injuries this season,” said Fan. The silver lining for Tigers is the positive role the support players have already had this season. “This season, we have had a lot of new, young talent emerging in Lara, Maelle Picut, Amy Pyle, and Sarah Lucas. Even though they are just in their first or second seasons playing senior rugby, they have been called up and featured in the women’s sevens squad already. “We are also getting more numbers through across the board at the club across. This year we have been able to field sides in the Premiership and NL1, and a lot of players from NL1 have played in the Premiership already this year, so hopefully that will help them now in stepping up. “Most importantly we have built a really positive culture and environment between both teams, which is something that we need to rely on now. That is the key for us in future, keep on developing players and adding them in with our established senior players,” Fan added. 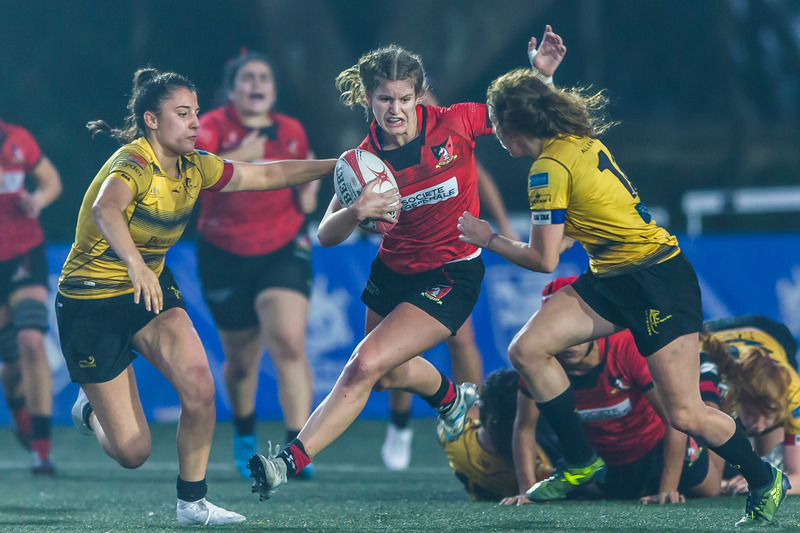 Given the team’s depth Fan still has plenty of talent to work with and will shift Hong Kong sevens squad veteran Lindsay Vary into the centres against Valley. Fan’s emphasis on containing Valley is evident pre-game as Tigers hopes to hand Valley its first loss of the season hinge on an intense but disciplined effort up front on Saturday. “To beat Valley, we have to win the scrum. They have a very good scrum and a big weight advantage on us there, so our defence has to be perfect. Our forwards have got to be there and maintain a high-pressure defence but also keep our discipline. “Last time against them we gave them penalties so easily, we were almost inviting them into our 22. They have a good pack that can punish you with driving mauls or their pick-and-go game. Our discipline in our pressure defence will be crucial,” Fan added.